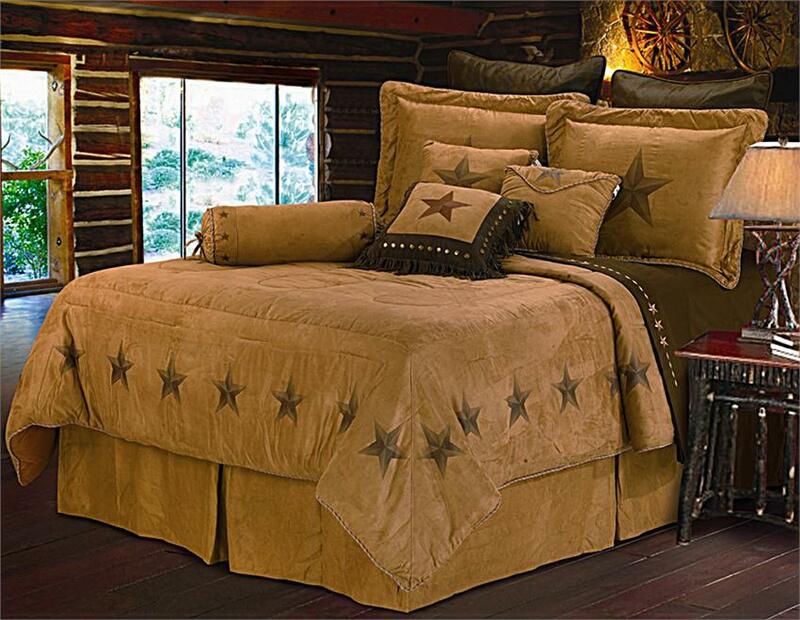 This Western Comforter and set features dark tan faux suede with printed stars. The Star Western Bedding Comforter set includes Bed Skirt, Pillow sham(s), Cushion Pillow(s) and Neck Roll Pillow. (Twin size only (1) pillow sham and (1) cushion pillow). Options shown sold separately B. Distressed Faux Leather Reversible Euro Sham (1) C. Star Embroidered Fringe Throw Pillow. D. Laredo Star Embroidered Sheet Set. Free Shipping Offer are available. Shop Now!